DANCIN is a love story. It is the marriage of science and art. The pairing of fine wine with delicious food, and the sincere passion of Dan and Cindy. 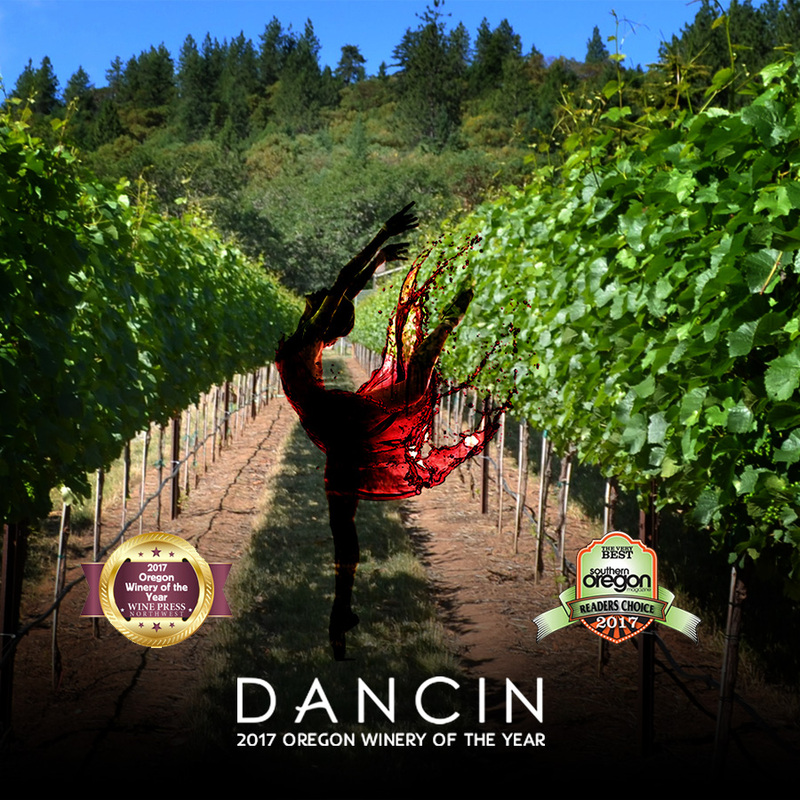 DANCIN is an annual dance in harmony with nature and humanity, with vines and wines, which are primarily named after movements within ballet, a form of dance wherein dedication, discipline and balance are in submission to the grace and beauty of the final performance. 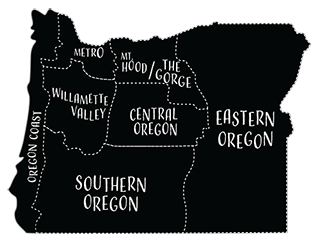 Within a year of their storybook meeting in 1995, Dan and Cindy (DANCIN) began researching wine and viticulture at UC Davis, and twelve years later, they discovered a perfect plot of land nestled within the forested foothills of southern Oregon, just outside of the gold rush community of Jacksonville. A northwest facing slope, benefitting from the late afternoon shade provided by the surrounding tall pines and cedars, it would become the perfect terroir for growing Pinot noir and Chardonnay with a sense of place. Planted to seven distinct clones of Pinot noir and four different clones of Chardonnay, the vineyards are meticulously maintained through continual assessment during each and every facet of the growing season, making every effort to achieve vine balance. At the point of perfect ripeness, each cluster is hand harvested and sorted, first in the vineyard, and then twice more on the crushpad, as their limited production exquisite Pinot noirs and Chardonnays are hand-crafted using minimalist, old world techniques that complement the practices in the vineyard. You are invited to join us on our journey as we discover the multi-faceted flavors of Pinot noir and Chardonnay!